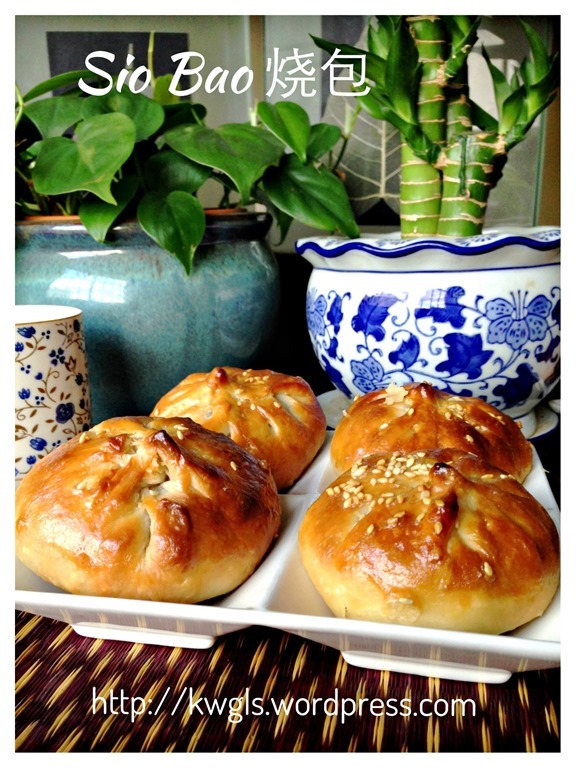 This is another recipe in my series of my Chinese buns – the baked barbecue pork buns or Sio Bao . 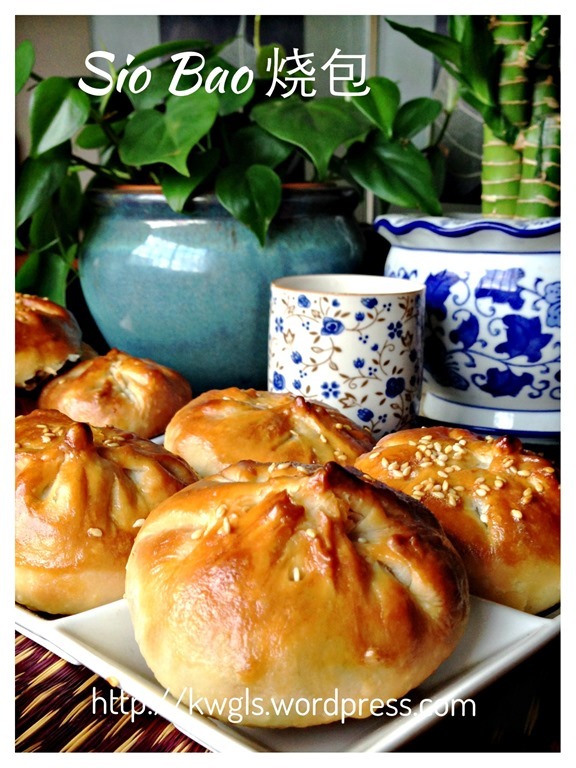 Sio essentially means baked and bao means Chinese steamed buns. Instead of being steamed, these buns were baked in the oven. Initially, I have this naive believed that preparation is the same as the steamed buns but instead of steamed, it is baked. 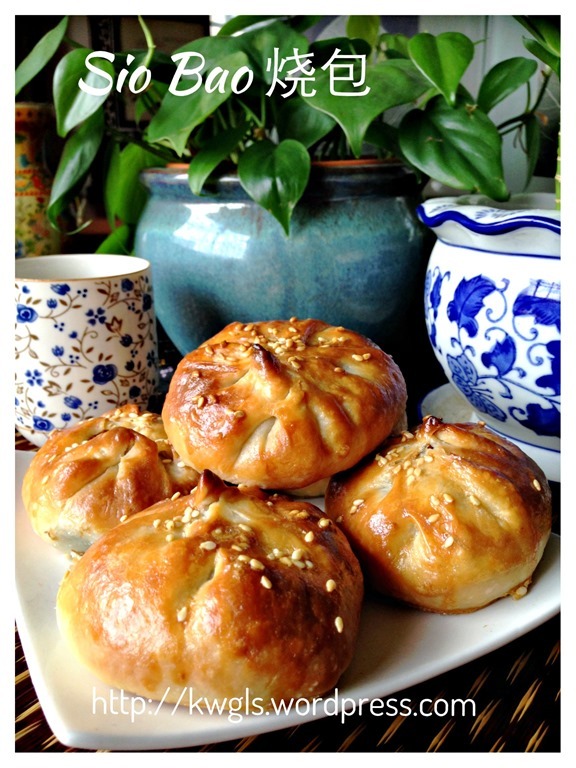 However, subsequent read up shows that the dough is totally different from the steamed buns. Both ingredients and preparation methods are much more difficult than the steamed buns. However, the hard work off once you took the first bite. 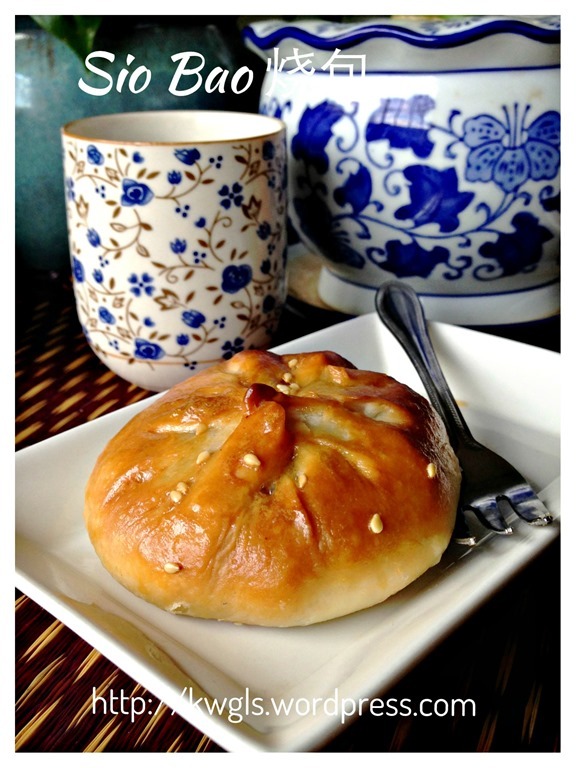 I have always loved this sio bao and in fact, I have just asked my mother in law to bring back some sio bao from Kuching 2 weeks ago. I love its crispy skin and the sweet fillings. I decided to try out yesterday with some leftover roast pork that I have. However, for the filling preparation, I did not take any picture and I have to revert all of you back to the Char Siu Steamed buns fillings. I have used exactly the same filling except that I have added some green peas to the fillings. 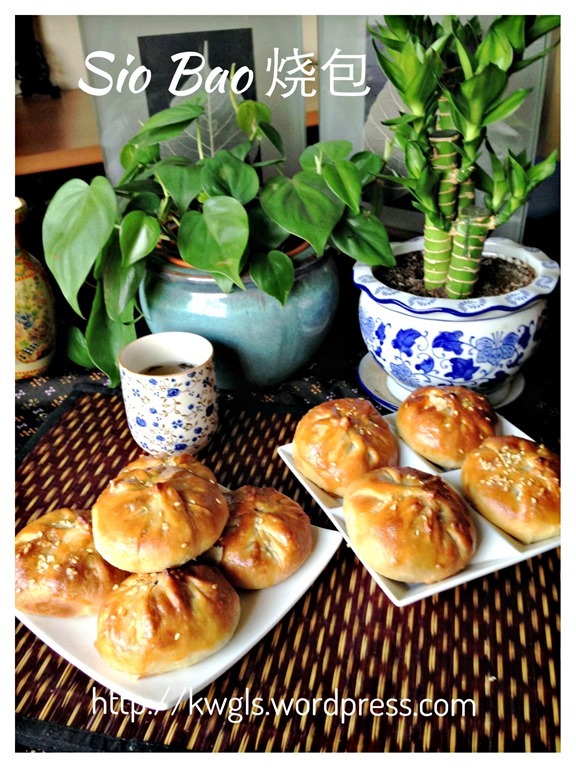 I am extremely happy with the batch of sio pao that I have prepared yesterday. The skin is crispy and thin. 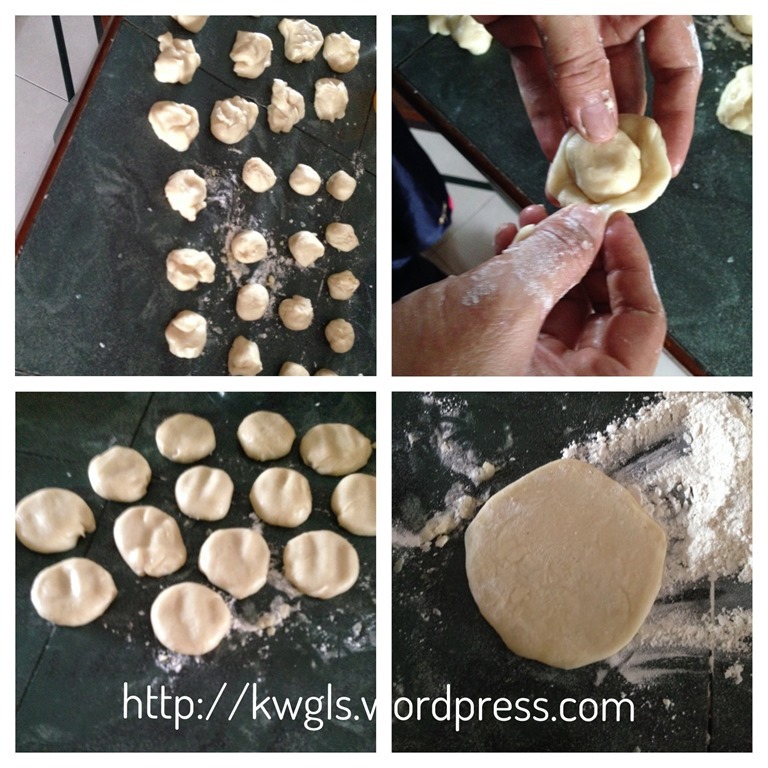 In fact, after yesterday’s exercise, I am more confidence to prepare Chinese crispy skin biscuits with this dough method. In the frying pan, add 4 tablespoons of cooking oil, sauté the onions until fragrant. Add in the barbecue pork and stir fry until well mixed which took about 1-2 minutes. Add in the green peas, cooking wine, oyster sauce, sesame oil, sugar, oyster sauce and dark soya sauce. Stir fry for another 2 minutes. Add in the starch solution and off the heat when the starch solution turns transparent. If it is not sticky enough, add in more starches. It is best to take some filling and taste if it suits your taste buds. Note that you have to be rather high handed with your seasonings because the bun skin is rather plain in taste. Once ready, set aside for later assembly. Pre-heat the oven to 180 degree Celsius and line a baking tray with baking paper. 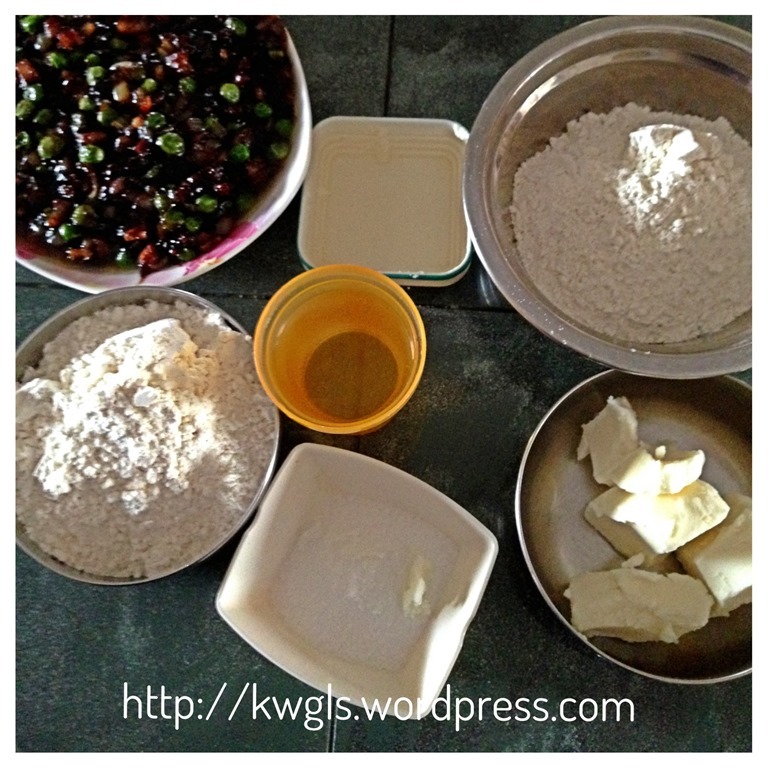 Put all the ingredients for the water skin and use a stand mixer to knead until smooth. Note that this is rather fast and may took 2-3 minutes. 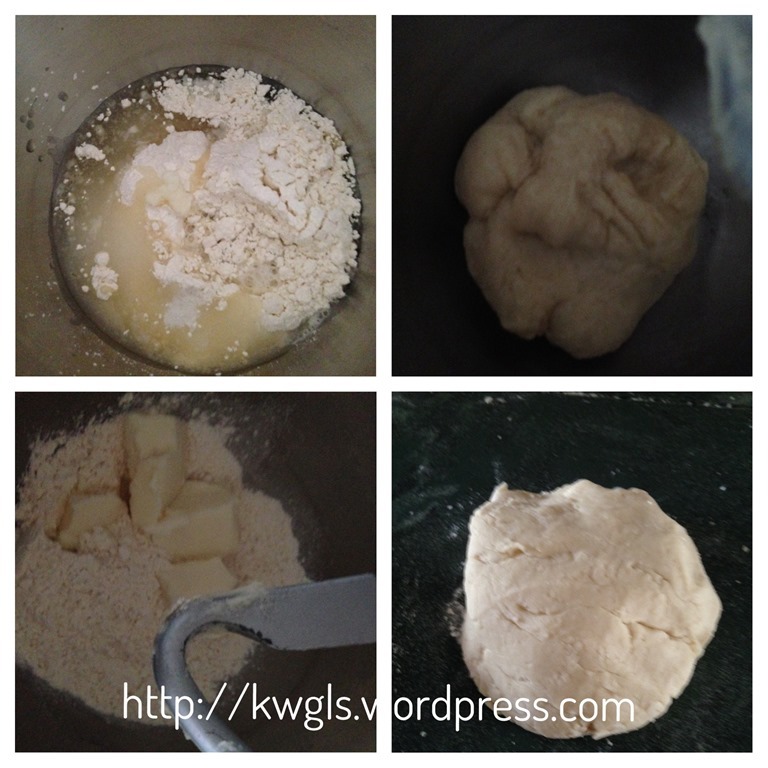 Kneading using a stand mixer is optional and it is rather easy to knead by hand. Take out the water skin, set aside and perform the same for the oil skin. If it is too sticky, add plain flour one tablespoon by tablespoon until a pliable dough is form. Divide both the water skin and oil skin into 15 equal portions. Take one portion of water skin, flatten it, put a portion of oil skin on top. Seal the water skin. Lightly flatten it and set aside. For the wrapping, take one portion of the combined skin (oil skin wrapped by water skin) and placed in a lightly floured surface. Use a rolling pin to roll it until about 2 mm thick and in the shape of a circle. Put about 1-2 tablespoons of the fillings on the centre of skin, seal the edges and placed in a baking tray lined with baking paper. Perform the same for the remaining 14 portions. Once ready, bake in the preheated oven for 15 minutes. After 15 minutes, take the buns out and egg wash followed by sprinkle with some sesame seeds. For egg wash, crack 1 egg and add 1 tablespoon of golden syrup, stir until well combined, brush on top of the buns sparingly. Send back to the oven again and bake for another 15-20 minutes until the desired colour tone. In fact, handling this dough is very fun. It is rather oily and quite elastic. 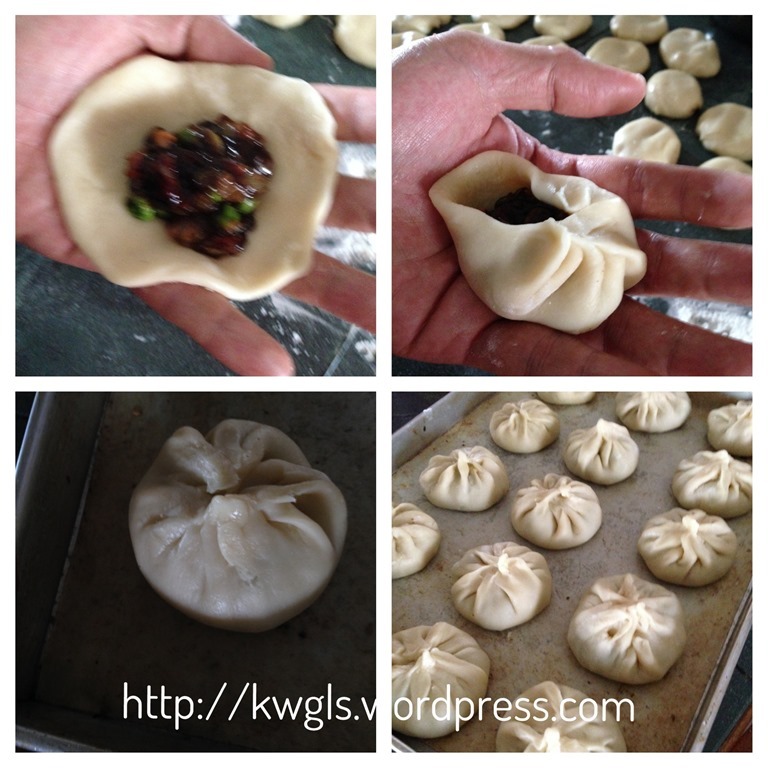 It is much easier to shape than the traditional buns dough. Remember that any type of fats is acceptable. However, usually vegetable shortening or lard is used as it will produce a much crispy skin. Do try and I am sure you will not regret the hard work that you have invested. 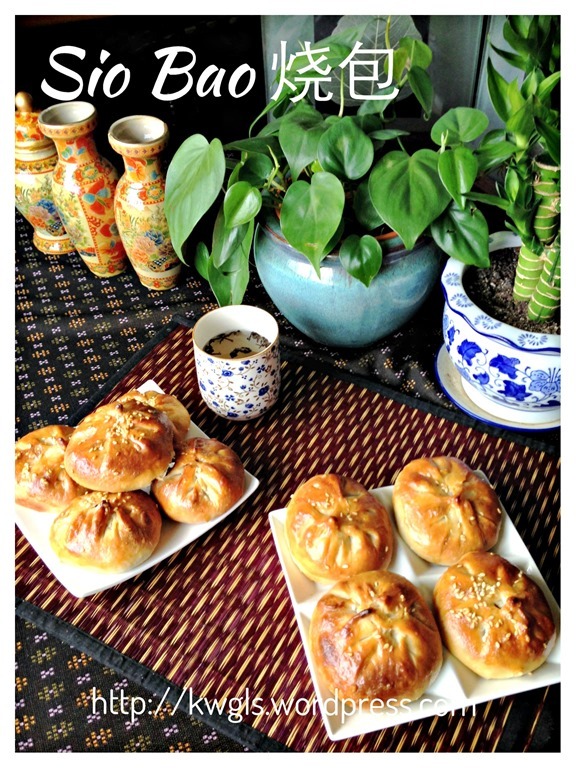 For the reader’s convenience, Guiashushu have issued the E-book (Easy Chinese New Year Recipes – A step by Step Guide). 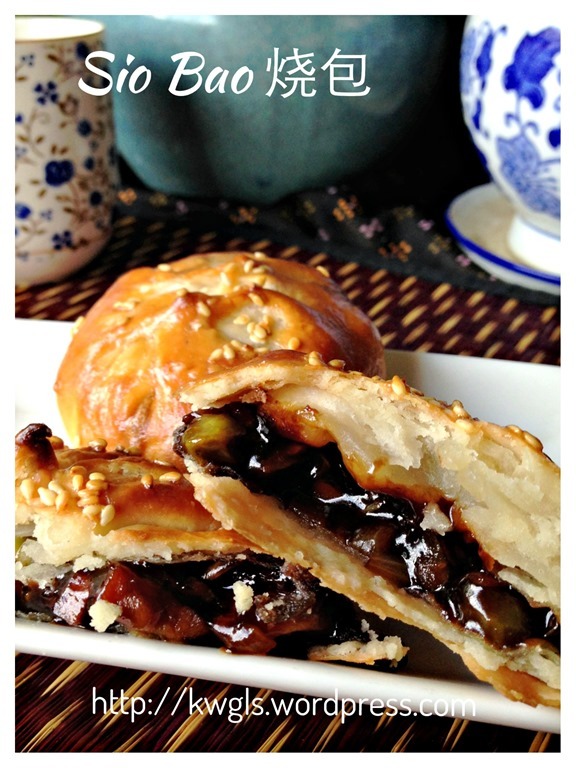 The e-book was packed with 30 Chinese New Year recipes and you can get hold of a copy of the E-book HERE or by clicking on the picture below. 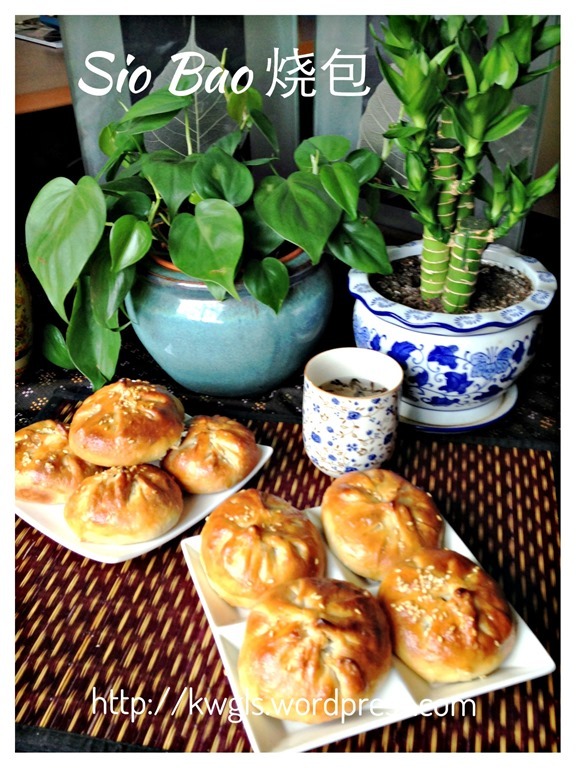 This entry was posted in Chinese and Asian Cakes and Snacks, Food Preparation Series and tagged 8 postaday, Baked Barbecue Pork Buns, 烧包， 酥皮叉烧包, GUAI SHU SHU, Guaishushu, kenneth goh, Sio Bao. Bookmark the permalink. Thanks for sharing, your 酥皮 no need to roll and fold 2-3 times, very simple !! Will try it . Thanks again. Thank you so much for sharing your wonderful array of recipes. 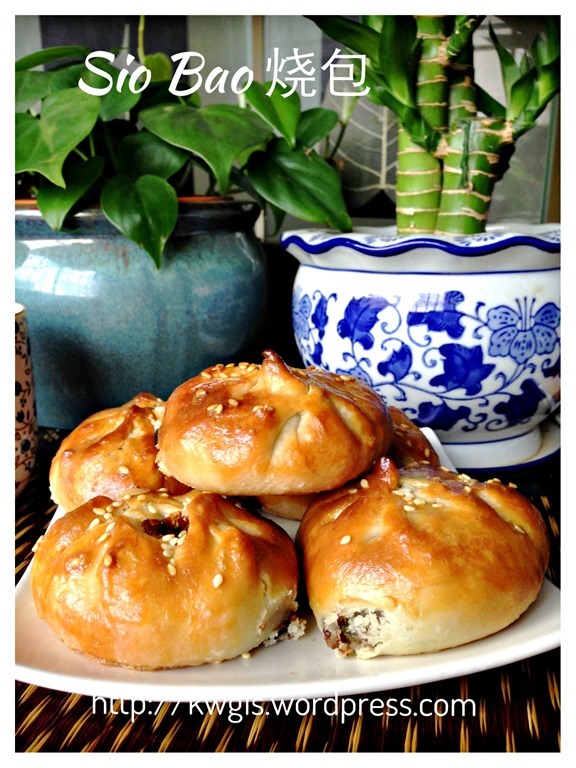 I just made some char siew and have some left, I thought I am going to try this siew pao of yours. I will let you know how it turns out. I also noticed that you are from Kuching. Me too. No wonder most of the foods that you made are very familiar to me. Which part of world are you living in right now? I’m in Norway. What setting you used for the oven e.g top and down, fan, fan + grill??? Which level in the oven? Thanks. top down, fan, middle rack. Thanks, Kenneth. Will let you know how it turns up. Sorry… emergency. .. I am in the midst of making the Char Siew filling. I use the amount of corn starch as mentioned. But i find the filling turned out to be rather starchy and sticky. Is it right? Or if i find it too starchy.. anyway to “rescue” it?. Hi kenneth, i have been waiting to make this but i find it so complicated, bcause i know its challenging, but since i saw it over and over again so many tried, so i push myself to make this late hour… 🙂 sweating in the kitchen doin the rolling and folding..whao, seriously many work…anyway, baking now 2nd round, they look really2 good and i did some modification of the folding method, i did 2 foldings hoping for a flaky result. 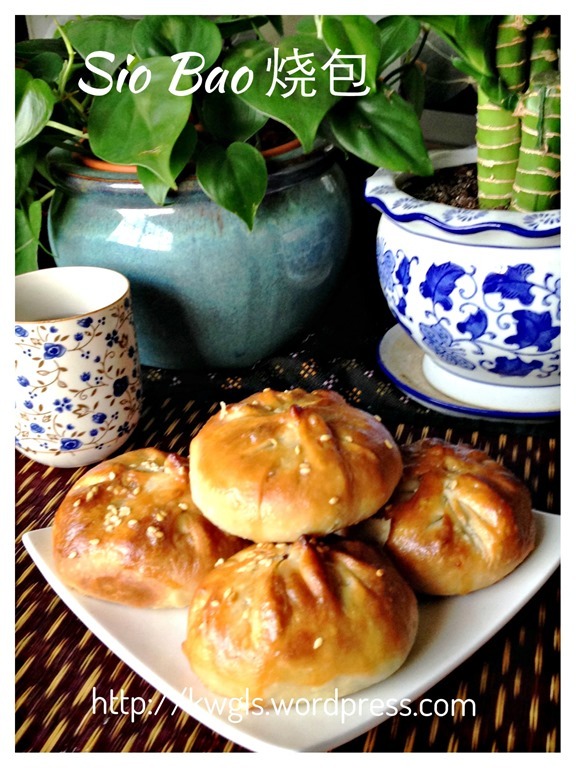 let me taste first then i post u my yummy baked siew bao from your recipe. 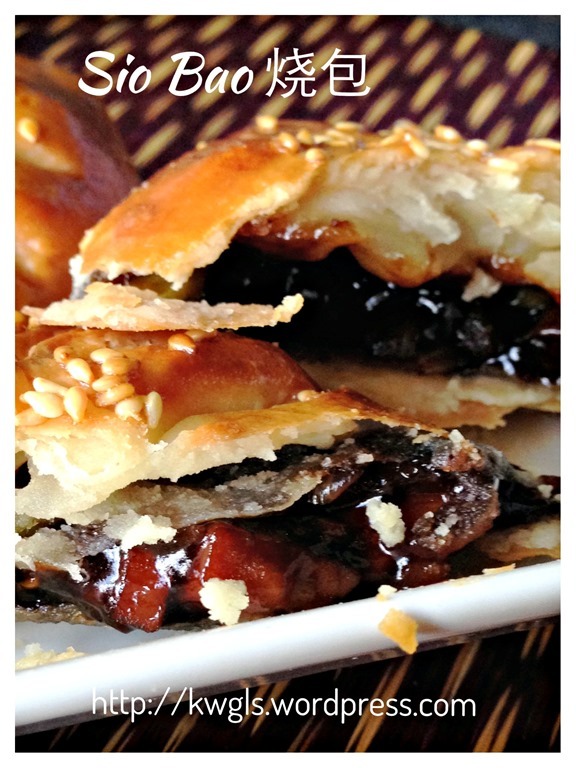 Thank u for sharing kenneth, and i have many more to try from your amazing recipes collection. Sifu, just hilite that there is a typo error. Oyster sauce was mentioned twice in the cooking of the fillings.